Molly and I caught the late matinee Nebraska at the downtown Fargo Theater this Sunday afternoon. 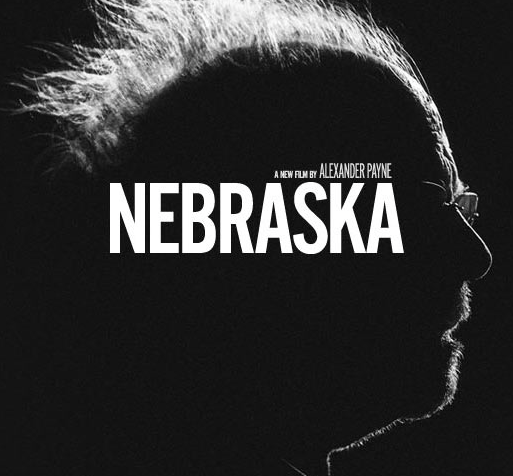 It’s a story about an older man (Bruce Dern) who is starting to enter the earliest phases of senility. He and his wife made a life in Billings, Montana, having relocated there years prior from their small home town of Hawthorne, Nebraska. This old timer received a standard sweepstakes letter that said he was a “winner” of $1 million. He only had to travel to Lincoln, Nebraska to check his winning number to see if he did in fact win. Through this he becomes possessed with getting to Lincoln: he finally felt he had something to live for. And without spoiling any more of it, I’ll just type a couple ideas below and recommend that you check out the film yourself. The first idea is how small town agrarian life can come to a crawl in the absence of, well, anything beyond industrial farming. In many ways this reminded me of life in western North Dakota in, say, the 80s and 90s. In the movie, Hawthorne was not experiencing a robust Bakken oil boom. Folks kept busy, but it was at a level rather than an unrestricted economic pace. The second thing impressed upon me was how well the cameras captured the northern Great Plains. The film is shot in black and white, possibly to convey a greater sense of gloom. But the Great Plains look glorious in either full color or black and white (and when we say “black and white,” what we really mean is shades of grey). The old timer and his family also visited the abandoned family farmstead, one of those homes that we pass thousands of times on rural and main roads throughout the Great Plains. Whenever I’m out on assignment, recording one of these rural structures (I’m in the profession of historic preservation), I can’t help but think about what kind of lives were made and carried on day in and day out. A kind of “these walls can talk” feeling. It’s a squishy feeling, yes. But we’re human. That means we feel — sensory and perception — and we’re supposed to describe that. So anyhow go to this movie. It is good. I think we’ve earmarked Inside Llewyan Davis for our next cinema outing. This entry was posted on Sunday, March 2nd, 2014 at 7:44 pm	and tagged with Bakken, Fargo Theater, Great Plains, Movies, Nebraska and posted in Uncategorized. You can follow any responses to this entry through the RSS 2.0 feed.